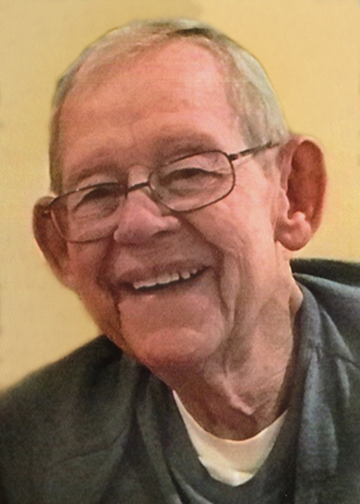 Mack Golson, 82, of Beaumont, died Thursday, September 13, 2018, at Baptist Hospitals of Southeast Texas, Beaumont. He was born on November 6, 1935, to Barbara Watson Golson and James Lewis Golson, in Mobile, Alabama. Mack moved to Beaumont as a young man at 15 and attended French High School, where he met the love of his life & best friend, Dolores Goode, soon to be Golson. Upon graduating high school, he went on to work for Sun Oil Company at different locations. He and his bride eventually settled back in Beaumont. Mack and Dolores began their family while he worked and went to Lamar College. Mack started his professional career at East Texas Motor Freight, then Merchants Motor Freight and finally Brinks, where he retired in 2002. After retirement was when the real fun began. They began traveling with the Don & Claire Covington all around the country where many special memories were made. They enjoyed visits and special events with lifelong friend, Terrell & Joanie Sanders. Mack enjoyed helping to raise and make memories with all of his grandchildren and great-grandchildren. His favorite pastimes were reading, watching his grandchild accomplish all of their goals and dreams, and of course Blue Bell ice cream. We would like to give Leonard Fancher a huge thank you for his true and loyal friendship since childhood. Leonard’s labor of love and support for Mack and the family, during Mack’s time in the hospital, is a debt that can never be repaid. He was always there with conversation and coffee in his hand for Mack. Survivors include his wife of sixty-three years, Dolores Golson; sons, Kyle Golson and his wife, Sheila and Craig Golson; daughter, Kristen Golson Fuller; grandchildren; Ty Golson; Amie Shahan and her husband, Travis; Caraline Golson and her fiancé, Jacob Bush; Savanna Golson; Samuel Golson; and Garrison Fuller; great-grandchildren, Ella, Aubrie, and Jackson Shahan; extended family, Dana Golson, Michael Fuller, Theresa Thornhill, Kelly and Todd Rogas, and Andrew Rogas; sister, Barbara Wooten and her husband, Ralph, of Nashville, Indiana; and sister-in-law, Barbara Goode. A gathering of Mack’s family and friends will be from 5:00 p.m. until 8:00 pm., Friday, September 14, 2018, at Wesley United Methodist Church, 3810 North Major Drive, Beaumont. His funeral service will be at 2:00 p.m., Saturday, September 15, 2018, at Wesley United Methodist Church. His interment will follow at a family plot in Antioch Cemetery, Buna, Texas, under the direction of Broussard’s, 1605 North Major Drive, Beaumont. Memorial contributions may be made to The Humane Society of Southeast Texas, P.O. Box 1629 Beaumont, Texas 77704. Delores, we were so sorry to hear today about Mack's passing. Our thoughts and prayers are with you and your family at this difficult time. May God comfort your hearts. Delores, we were so sorry to hear today about Mack. Our thoughts and prayers are with you and your family. May God comfort your hearts at this difficult time. Lifting up prayers and thoughts to the Golson family, many memories date back to North End United Methodist back in the 70's where Delores and Mack where part of the MYF with Don and Juanita Landry. I’m so sorry to hear of the loss of Mr. Mack! I have such fond childhood memories of the Golsons, The Landry’s and my parents being together. Much love and prayers to Ms. Delores and the family! to make the service due to health issues but know I will be thinking of you. MayGod bless you and give you strength during this difficult time . Dear Dolores, I am so sorry for your loss. Seeing your name brought back fond memories of Edwards Elementary. Where did all the years go? You are in my thoughts and prayers..
My heart breaks for Mack's family at the loss of such a sweet man. May you feels God's peace and comfort as you remember happy memories. I am so sorry to hear about Mack's death. Your family will be in my prayers. May God give you strength to get thru the coming days.